Here’s our ultimate list of drone/quadcopter manufacturers and suppliers. We expect this list to grow even bigger! If we missed anyone or would like your company to be added let us know in the comment section. Who makes the best drone? 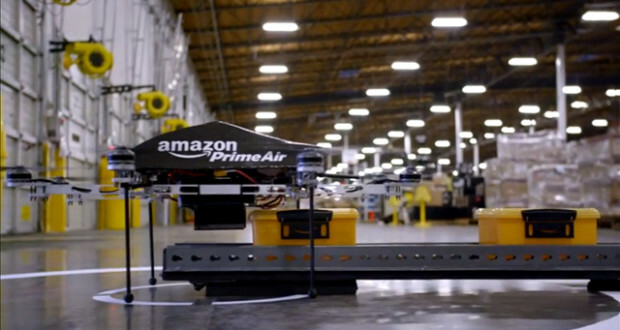 Here’s the top 5 biggest drone manufacturers! Known for its high quality products, Chinese company DJI proudly touts itself as the world leader in quadcopters and camera drones for aerial photography. 3D Robotics touts itself as the largest commercial drone manufacturer and consumer drone manufacturer in North America. Their premier product is the Solo Smart Drone. Walkera is a large UAV manufacturing and distribution company that produces ready to fly drones, professional drone cameras, and FPV goggles. Yuneec is a Hong Kong based company that touts itself as a global leader in electric aviation. They have ready to fly drones that are not only well made, they also boast 4k video capture capabilities. GoPro is a leading manufacturer of lightweight professional sport cameras. Their high quality, reasonable pricing, and durability, make them popular for use with multirotors and drones. GoPro recently announced that they will release a drone in mid 2016. 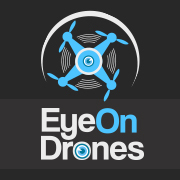 AEE is a primary worldwide provider of multi-rotor UAV devices, recording tools, and unmanned aircrafts. They have a focus on various types of electronic technology and security paraphernalia. AirDog is a dedicated electronics company that is devoted to artfully designing, meticulously coding, and precisely testing contemporary drone technology. Align is a Taiwanese based electronic company that produces home appliances and other electronic devices. However, most importantly, their dedicated multicopter division is by far what they are best known for. Amax Toys, a company based in China, specializes in unmanned aerial vehicles, electric models and toys, and various other hobby products as well. ArduCopter is a UAV platform that was developed by the DIY Drones team. They are known for developing software for miniature unmanned aerial vehicles and micro air vehicles. Ares RC specializes in various unmanned aerial vehicles, such as; quadcopters, helicopters, and airplanes. They offer a wide range of pre-assembled models, as well as various UAV parts as well. Armattan is a relatively small company that boasts a modest selection of aerial vehicles that ranges from quadcopters and minis to hexacopters and tricopters. Blade is manufacturer of a professional line of quadcopters, RC helicopters, camera platforms, and drones, that is offered by Horizon Hobby. Cheerson Hobby is a certified specialized drone, UAV, and remote controlled vehicle manufacturer. They specialize in manufacturing, as well as research and marketing. Diatone is a Chinese unmanned aerial vehicle manufacturer that produces cost effective ready to fly drones, as well as assorted drone accessories and paraphernalia. Know for their premier product, the Draganflyer, UAV aircraft and aerial video system company Draganfly proudly designs and manufactures each and every one of their electronic systems, hardware, and software. Dromida is a ready-to-use land and air unmanned vehicle manufacturer that is best known for DromidaOminus, their premier quadcopter. Dualsky is a professional electronics manufacturer that specializes in the research and development, sale, and production of electric power systems or RC devices. Electronics company Eachine produces cell phone accessories, survival gear, and most importantly ready-to-fly quadcopters and quadcopter parts. Estes is a UAV manufacturer from Colorado that produces devices, such as: drones, quadcopters, model rockets, and model airplanes as well. Flying 3D is located in Guangzhou, China and was established in 2004. Their main operations focus are on remote control helicopter and quadcopters. FreeX is a professional manufacturer of easy to use, beginner friendly drones that are ready to fly and very affordable. Foxtech is an online provider of drones, multicopters, and paraphernalia for all types of UAVs. They also provide gear for individuals who are interested in FPV capabilities. Gaui is a UAV manufacturer and distributor that produces drones that are remarkably affordable, especially considering the fact that they boast high performance ratings. Helimax is a specialized UAV manufacturer that focuses on providing customers with a wide range of products, including: ready to fly helicopters and multirotors, accessories, kits, and tools. Chinese company HJ Toys is a successful electronics manufacturer that specializes in innovative RC models, such as; quadcopters and helicopters. Hobbico is one of the largest distributor in the US of radio control hobby products such as cars, helis, and of course quadcopters/drones. Hobbyking is both a producer and distributor of RC products, they also have a strong relationship with notable names in the industry as well. Hubsan is a Chinese RC vehicle company that is focused on the manufacturing, research and development, and sale of quadcopters, planes, and helicopters. HEXO+ is the developer and manufacturer of their eponymous aerial camera. 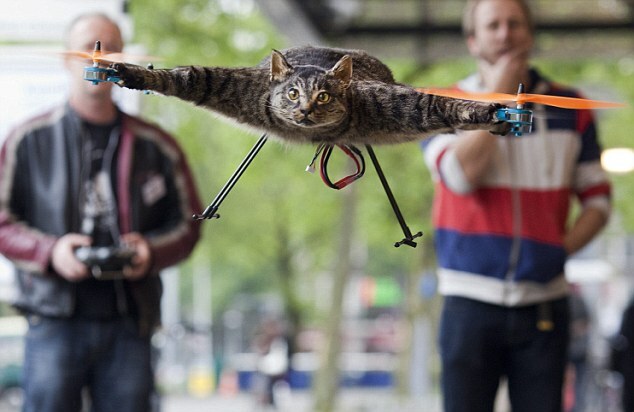 This unmanned aerial vehicle is fully autonomous with the ability to follow the user’s movement. This multirotor aircraft specialist company is well known for its innovative designs and concepts. Jdrones is a premier UAV research and development company that has numerous customers in over 65 countries worldwide. Clients include: government agencies, space agencies, and universities. JJRC is a Chinese RC vehicle manufacturer that has a comprehensive selection of ready to fly devices that are geared towards experts and beginners alike. JXD is widely known for its extremely inexpensive ready to fly drones, quadcopters, and other aerial RC devices and accessories. OFM (Only Flying Machines) is an aerial vehicle distributor that is run by AliShanMao; aerial vehicle enthusiast and drone video YouTuber. Meijiaxin or “MJX” manufactures radio control cars, helicopters and multirotors. Their company is based in Hong Kong. MikroKopter creates aerial devices that are versatile, durable, and extremely user friendly. Their devices come equipped with altitude control, GPS, telemetry, and compass, among other things. MJX is an experienced RC model manufacturer that has a specific focus on radio controlled multicopters and radio controlled helicopters. Nine Eagles is a reputable RC model company that is based in Hong Kong. They sell RC model planes, multicopters, and helicopters. Located in USA, Parrot is a respected designer and developer of UAV products, as well as various products for tablets and smartphones. Services that RCLogger provides include: UAV product development, professional technical assistance, and high quality manufacturing. RCLotus is a highly reputable manufacturer and distributor of celebrated RC cars as well as unmanned aerial vehicles such as quadcopters. Redcon specializes in making unmanned aerial vehicles that are reasonably priced for their quality level and they are ready to fly out of the box. SH Toys is well known for their PVC animal toys. However, they have also expanded into RC models; quadcopters, helicopters, etc. Skyartec deals with the professional research, development, and manufacturing of RC models (multirotors etc.) and also various paraphernalia and equipment. SpeedWolf from Shenzhen, China specialized in designing and manufacturing quadcopters, sports camera, FPV googles and more. Syma is an expertly staffed company that designs and manufactures high quality quadcopters, model helicopters, multicopters, and other unmanned aerial devices. Team Blacksheep are a group of unmanned aerial vehicle enthusiasts that also provide high quality products, such as; multirotors, video goggles, and accessories. Thunder Tiger specializes in the development, research, manufacturing, and design of professional multirotor vehicles and various related accessories and paraphernalia. Traxxas has been a pivotal part in the RC industry for 30 years. They manufacture and distribute ready to use model cars, quadcopters, and boats. Turbo Ace is a young US based company that specifically deals with the manufacture and distribution of drones and unmanned aerial vehicles. UDI designs and produces ready to fly unmanned aerial vehicles, as well as various UAV related equipment, such as cameras. Vitality is an acclaimed name in the unmanned aerial vehicle industry that is well known for their reasonably priced, high quality quadcopters. Witespy is a distributor that sells just about everything related to UAVs. Some products include: speed controllers, propellers, flight controllers, and GPS units. WL Toys boasts a wide selection of RC quadcopters, helicopters, boats, and cars; as well as corresponding accessories and parts for each category. Woodon Toys is a fairly successful RC company that has been very competitive in the UAV industry since their inception. They are best known for their multicopters. Xaircraft has its primary focus on MAVs (micro air vehicles) that are usually multirotor based and they also often have FPV capabilities. XproHeli specializes in ready to fly UAVs and also UAV related parts and paraphernalia. Their premier multirotor device is the XP2. ZeroTech design and manufacture multirotors and UAVs. They are based in Beijing, China.